Although it's only been open since 2011, this popular shop is one of the best in Akihabara. 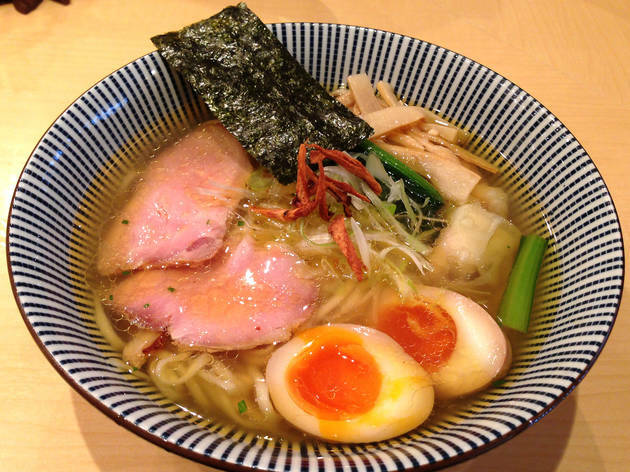 The menu has two main attractions: the first is the shio ramen with its blend of six different salts added to an amber-coloured soup made of a clear chicken and venison stock, as well as of fish including bonito and pike – light yet rich at the same time. 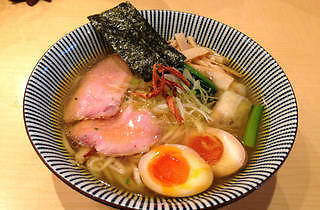 The other highlight is the miso ramen, which consists of a miso sauce with sesame and almonds, a creamy soup extracted from slow-cooked pork and chicken bones, and the fragrant flavours of shrimp and dried sardines – a unique, novel choice that rises above the standard. Backed up by its owner's experience in a traditional Japanese restaurant, this shop continues to offer a superb menu.